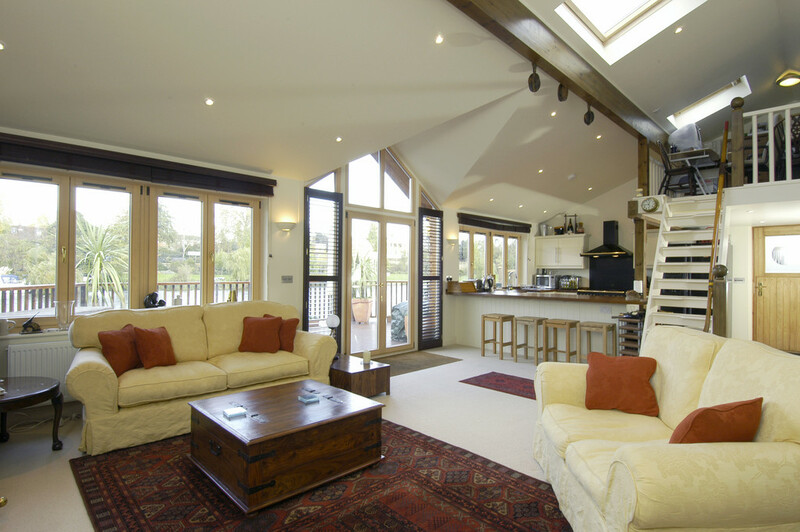 Built in 2006, this fabulous Island home boasts beautiful, open plan living with a magnificent vaulted ceiling throughout. 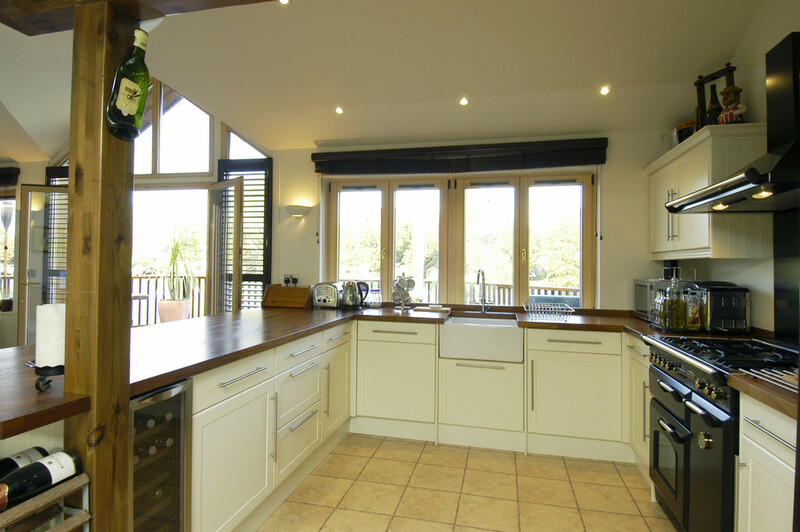 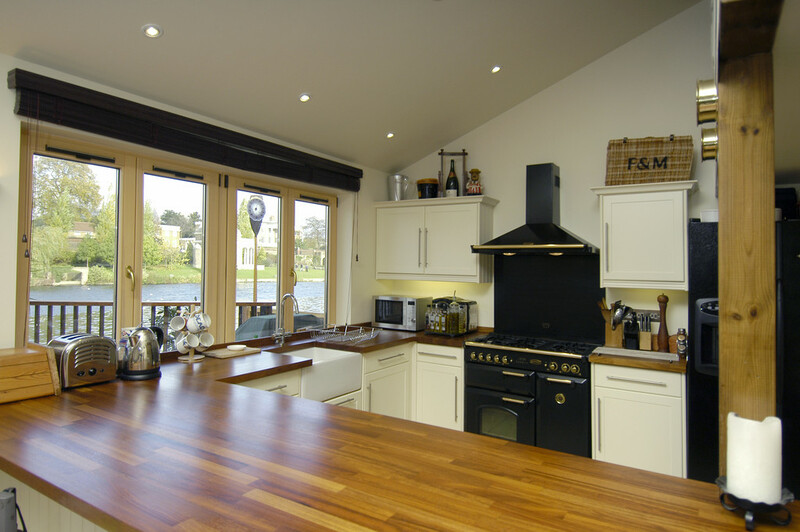 The kitchen is fitted with an extensive range of quality units, and has a large built in utility cupboard . 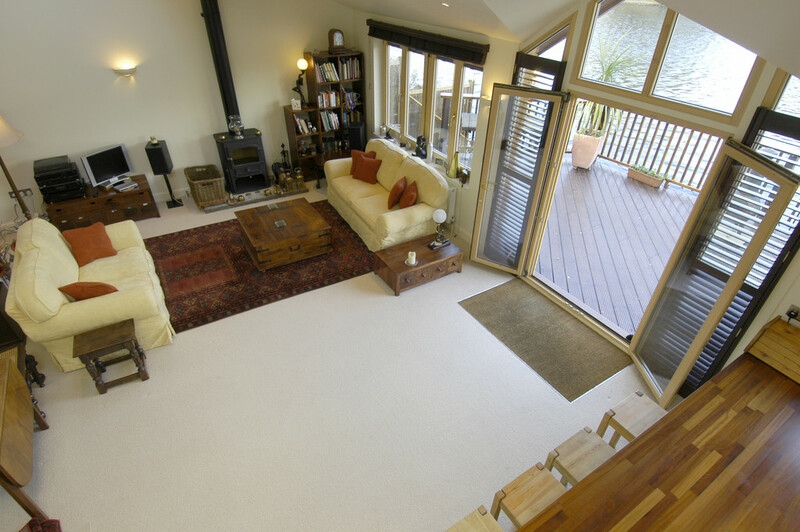 In the lounge area there is a superb log burner and feature stair case which leads to a galleried mezzanine, currently used as an office but equally provides additional bedroom space. 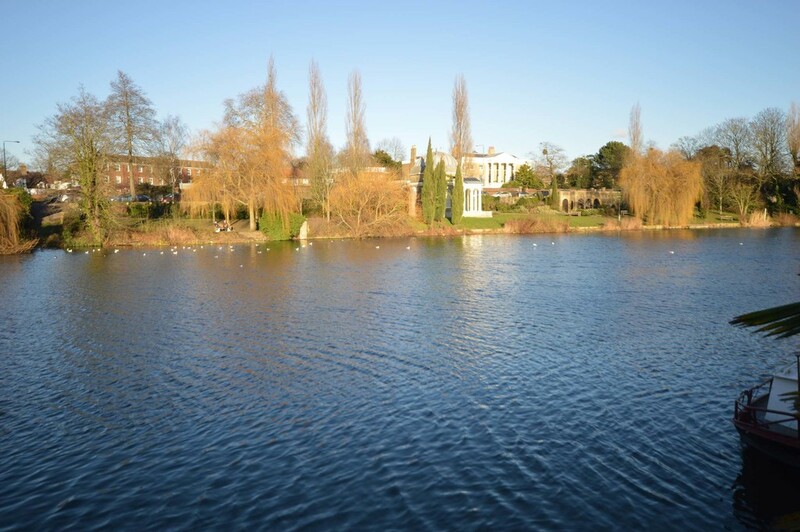 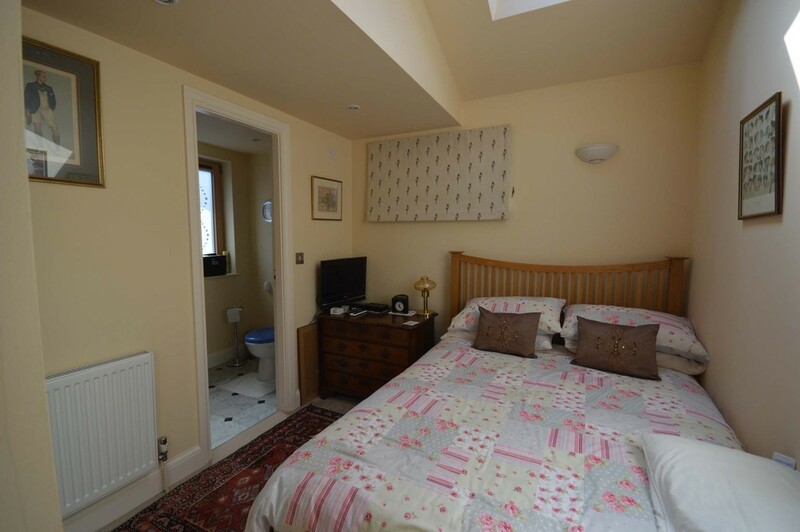 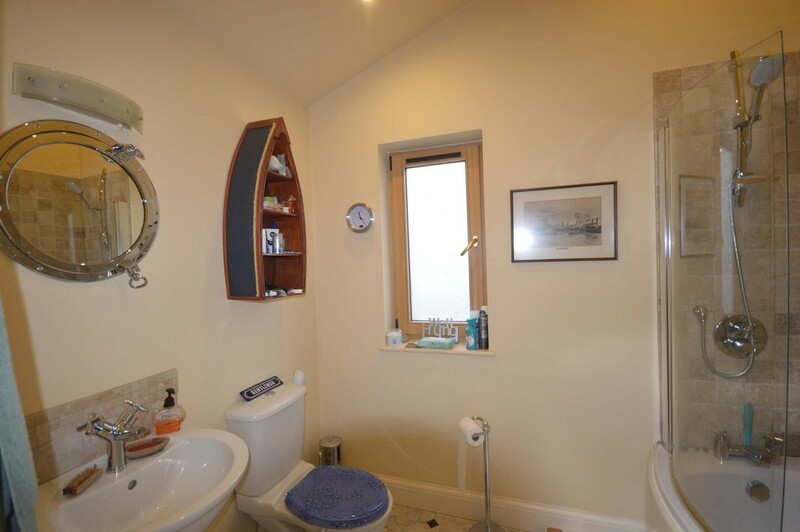 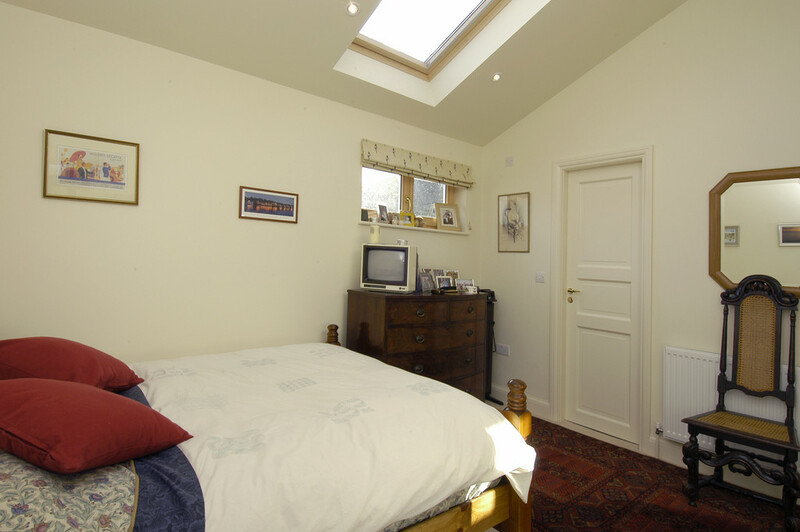 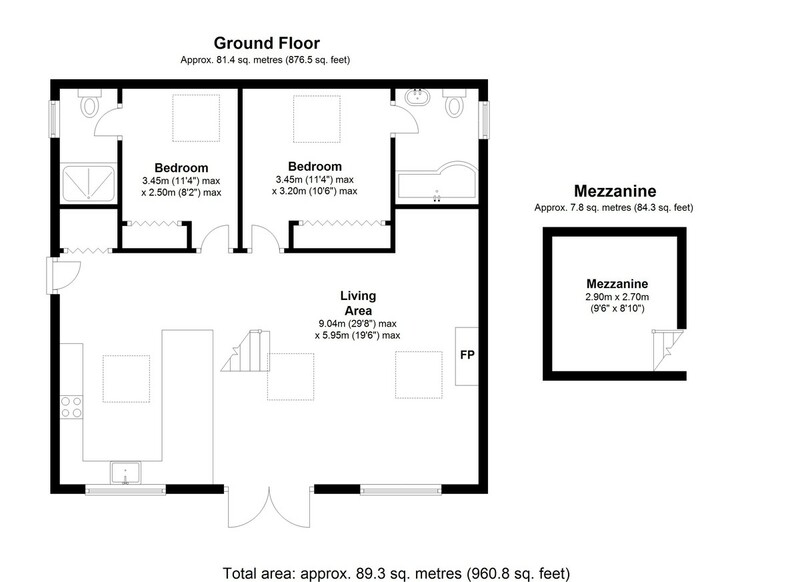 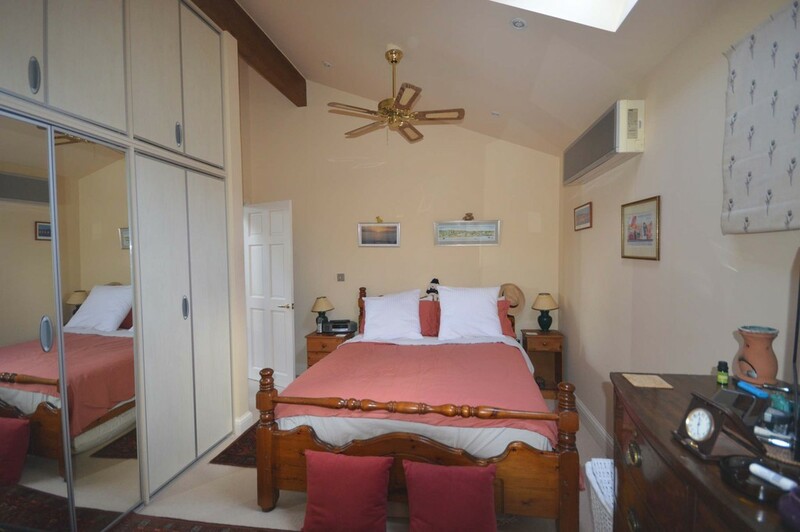 There are two double bedrooms, both with built in wardrobes and en-suite facilities. 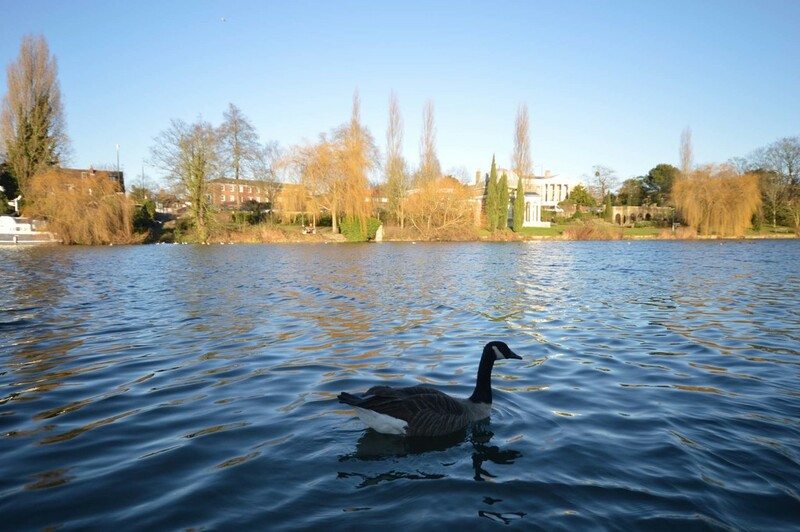 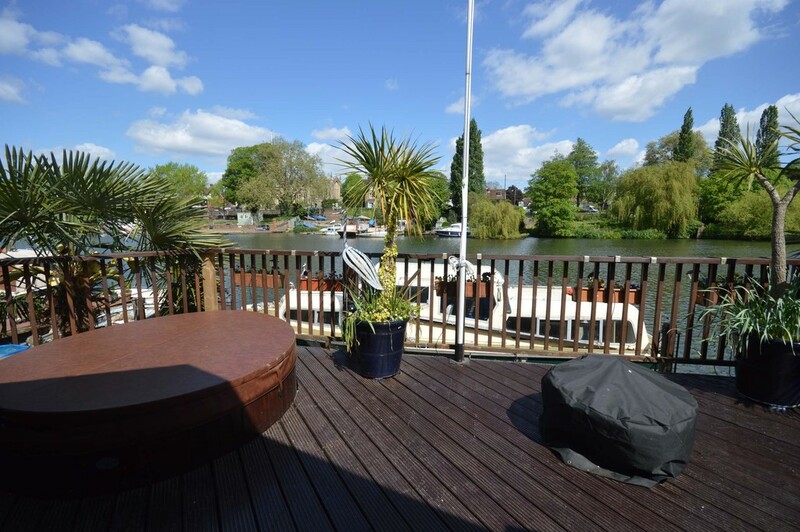 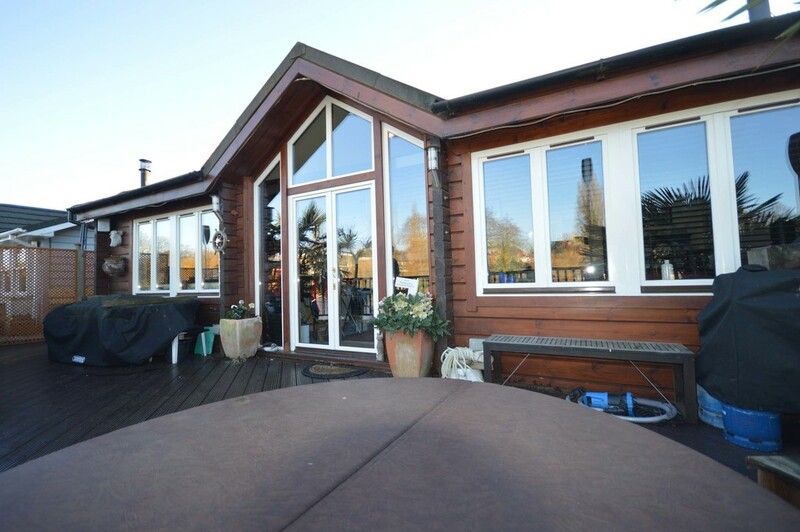 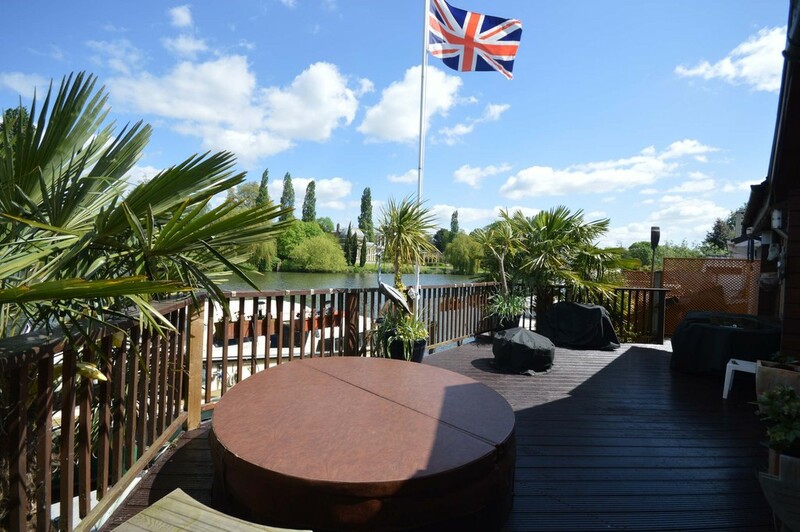 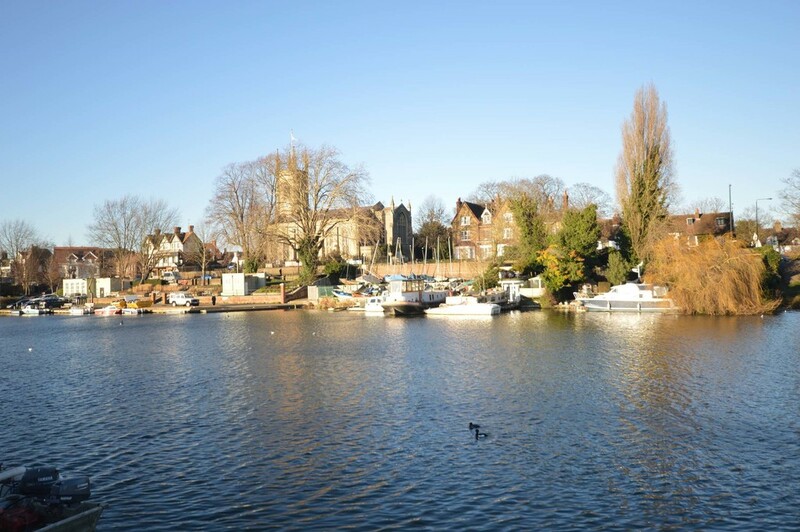 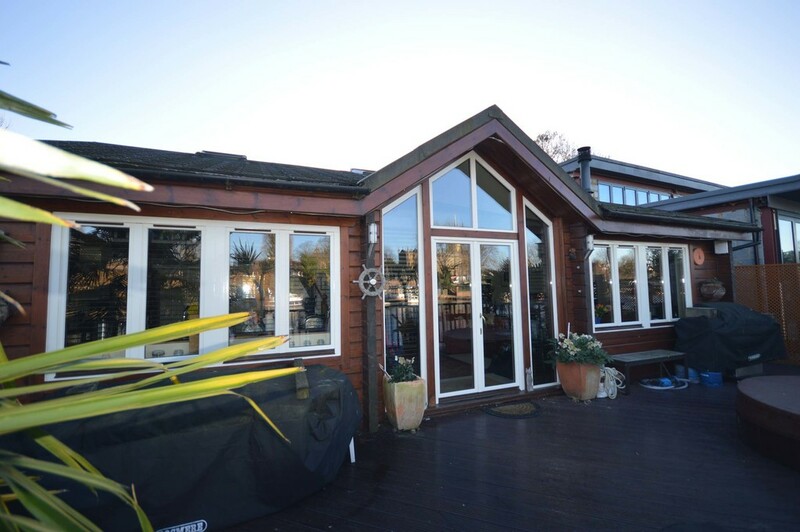 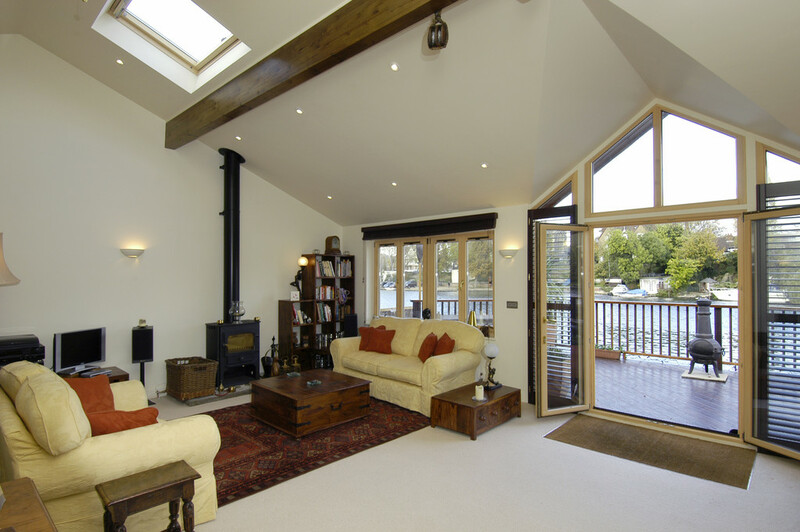 Double glazed doors open onto a large full width decking with a built-in jacuzzi and some of the finest river views to be found on the Thames. 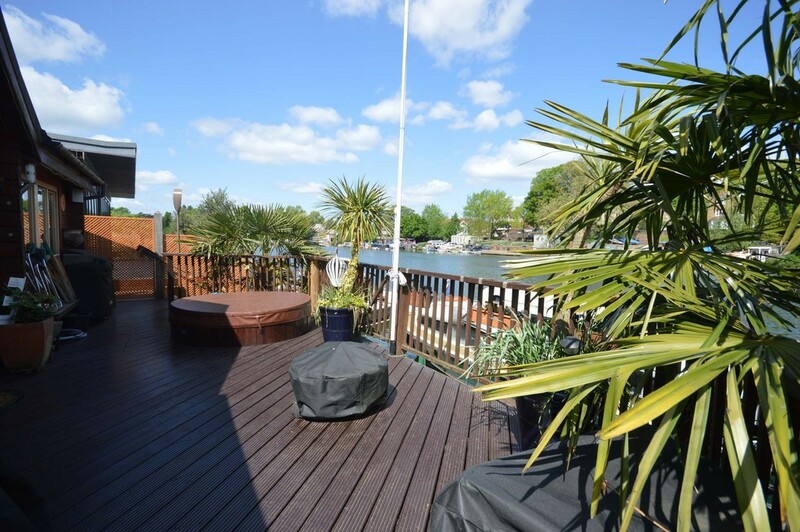 Steps lead down to the river frontage and private mooring which measures approx. 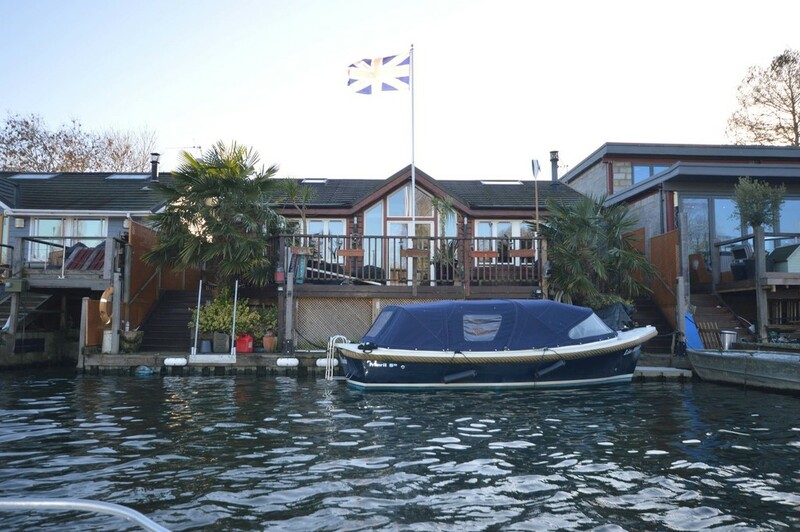 40ft. 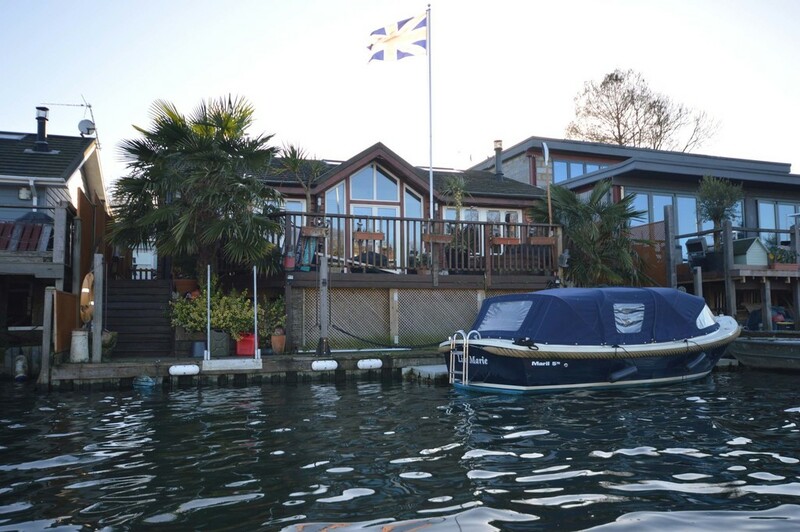 The Island is approached by boat and will be sold with a small motor boat.